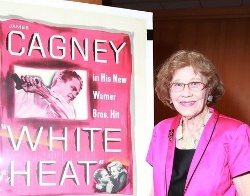 “The man you saw on the screen was certainly not Jimmy Cagney,” said former studio-system contract actress Pauline Wagner, 100, following a screening of “White Heat” at the Academy of Motion Picture Arts & Sciences Monday. Cagney was “one of the nicest persons in Hollywood,” so unlike Cody Jarrett, the homicidal psychopath with a mother fixation that he plays in Raoul Walsh’s violence-riddled 1949 film. The kind of peppy old lady only California can produce, Wagner has lived to share her memories of Cagney with whom she worked in the ’30s. 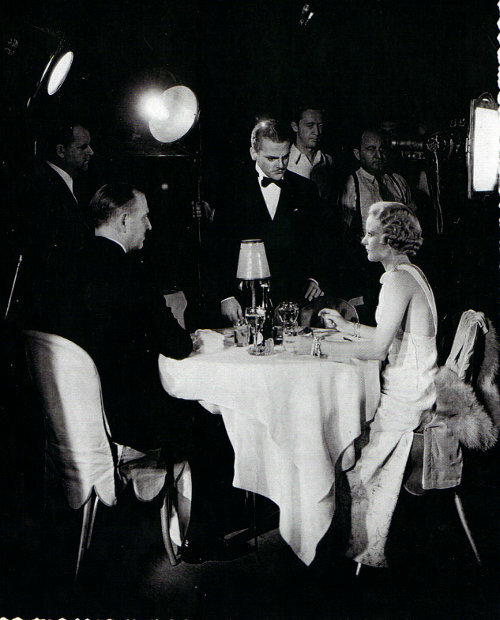 In the photo above, Wagner, 23, rehearses a scene with Jimmy Cagney from “Ladykiller” (1933). The scene is a sound-stage recreation of L.A.’s Coconut Grove nightclub at the Ambassador Hotel. The real version was demolished to a pile of rubble in 2006. Joining Cagney, Wagner was an early member of the Screen Actor’s Guild. Read about other early guild members. Polly, who still drives and uses the internet, is writing a book about her life in Hollywood.